Bringing world-class features at affordable prices, Mitashi washing machines are among the top-selling machines in India. They became the preferred brand of millions due to their easy to use & advanced features, prompt service and reasonable prices. This season, Mitashi has launched 4 new models that are perfect for Indian households, coming in sizes of 7.0kg Front Loading Fully Automatic WM, 5.8kg Fully Automatic WM, 6.5kg Semi-Automatic WM and 7.0kg Semi-Automatic WM. 7.0kg Front Loading fully Automatic WM (WMFA700K100FL: 7KG) comes with universal motor, it has 8 Smart Wash programs and a shockproof and noise proof design, has self -balance system and self-cleaning drum, super quick wash with 1000rpm speed motor and Heating wash upto 90degrees, 2yrs product warranty and 5years motor warranty and comes at Rs. 22990. 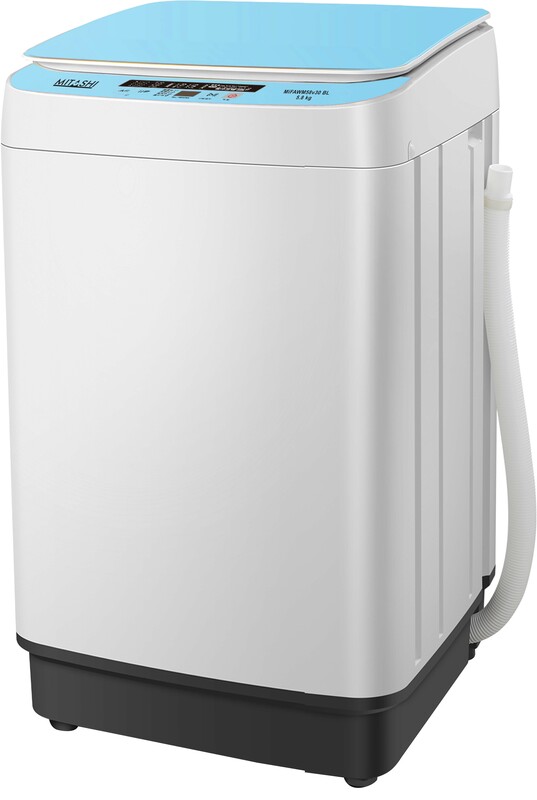 The 6.5kg MiSAWM65v35 AJD variant comes with air jet dryer technology, that gives you superior drying power, it makes drying easy, quick and energy efficient. Additionally, it has 2-wash programs for soft and gentle washes, scrub board, soak function, rust-free and non-corrosive body, high castor wheel and overload protection for motors. This machine will cost you Rs. 10490/- with 2yrs product warranty and 5yrs motor warranty.